My Alter Ego has been servicing providing the very best catering for in corporate events in Brisbane since 2012. 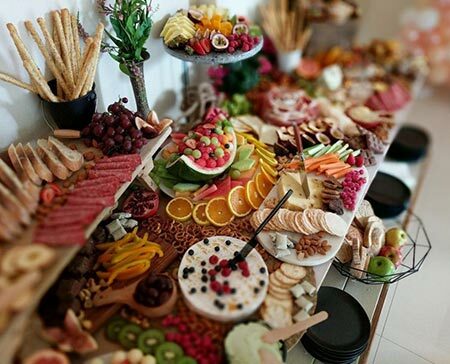 With a team of over 20 staff we can provide the best in corporate catering for anything from a small office lunch to full blown conferences in the Brisbane CBD. We have food licenses and HCAPP plans in place to keep your food safe, from our kitchens to your door. Delivered to your office for days that end in Y. Think: the vogue of corporate office catering – because eating in style is good, every day! 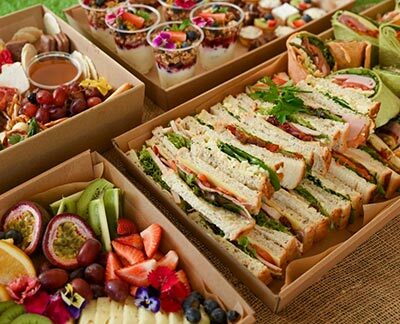 Our catering is conveniently packaged in disposable boxes and platters, so you can best enjoy your lunch without the messy clean up. From corporate lunches to a work mate’s birthday, – our options are versatile, stylish and created to suit your everyday needs. ​Conveniently order online or contact us via email, phone or the contact form below. Pay as you go, or setup an account. The choice is yours. We only came for the food. 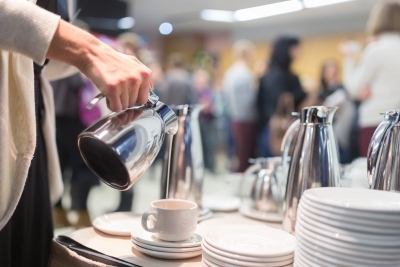 With our conference services we handle everything from set- up to pack down so you can enjoy a hassle-free lunch at your next conference in Brisbane’s CBD. You can make it as practical or decadent as you like, with our basic package priced at $24.90 per head*, which is fully serviced and includes crockery, glassware, and set-up, deliveries throughout the day and pack down. Want more? 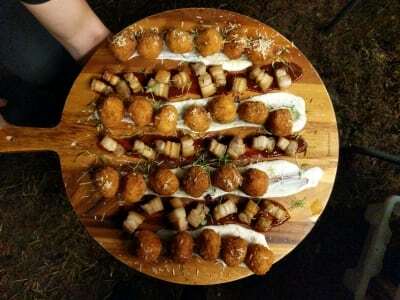 Check out our amazing add-ons and create the ultimate food experience for your participants, because – let’s face it –, they came for the food! *Minimum of 20 pax required. Grazing tables are the perfect casual dining option that lets your guests help themselves to a beautifully styled array of locally sourced produce. My Alter Ego styled grazing tables will create the wow factor for your next office opening, product launch or event. They can be tailored to suit your theme with our expansive range of tableware and flowers. Want to know more? Head to grazing table page for more information. Need someone to help with an event you are planning at work? Well you have come to the right place. With My Alter Ego and its selected partners we can organise your event from start to finish. From coffee carts, wine and canapés, conferences, private functions, corporate BBQs and lunches, cocktail and bar setups and everything in between, we do it best. Contact My Alter Ego today and lets get started.